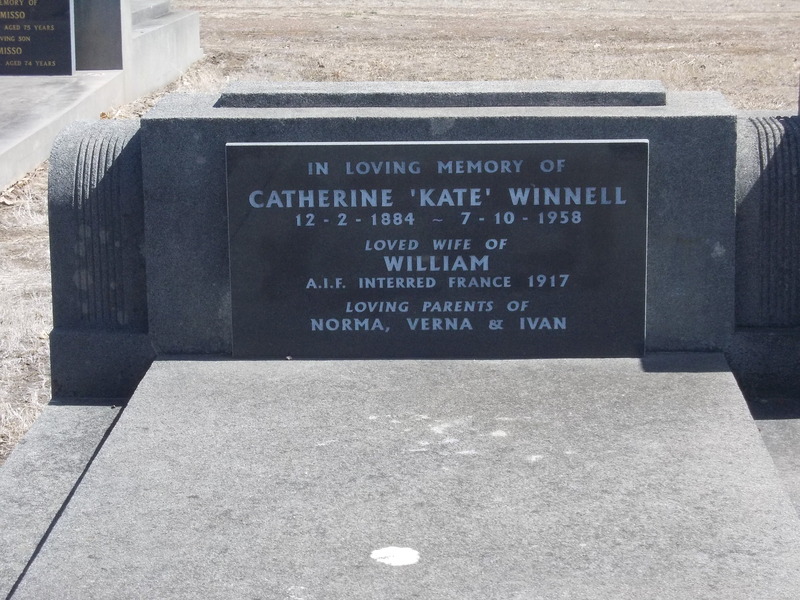 Born in Shepparton in 1890, William Winnell was the son of Thomas Winnell and Matilda Clemenson. Growing up, he spent time at Baddaginnie and the Winton district. Around 1914, William moved to Hamilton and lived on Digby Road. He worked as a labourer and played football for North Hamilton. War broke and in October 1914, William’s brother Ernest enlisted and two months later, another brother George also enlisted. In 1915, William married Catherine “Kate” Barker and they moved to Moore Street, Hamilton. 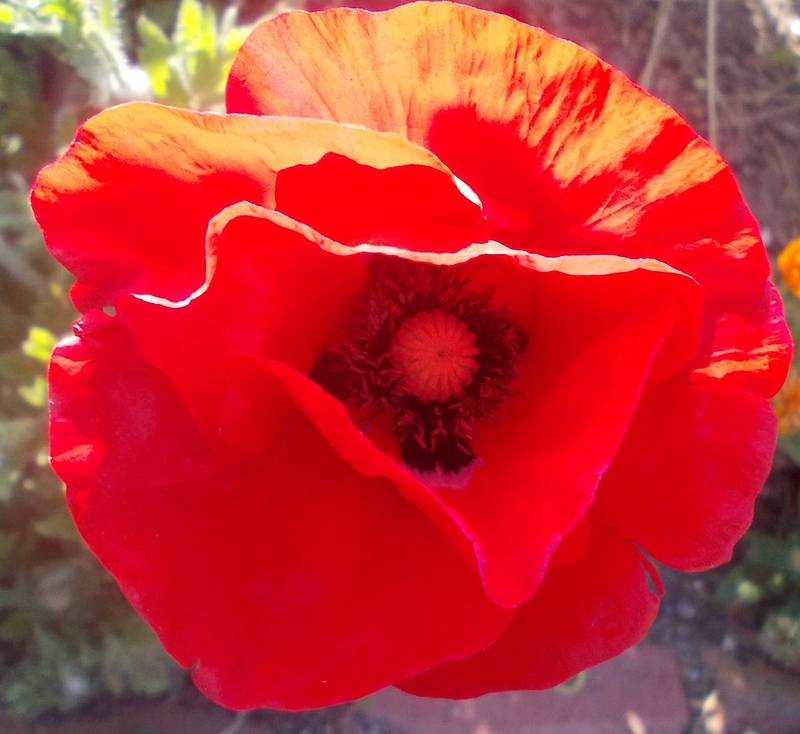 On 5 July 1915, William’s brother Ernest returned home to Australia after suffering wounds at Gallipoli. 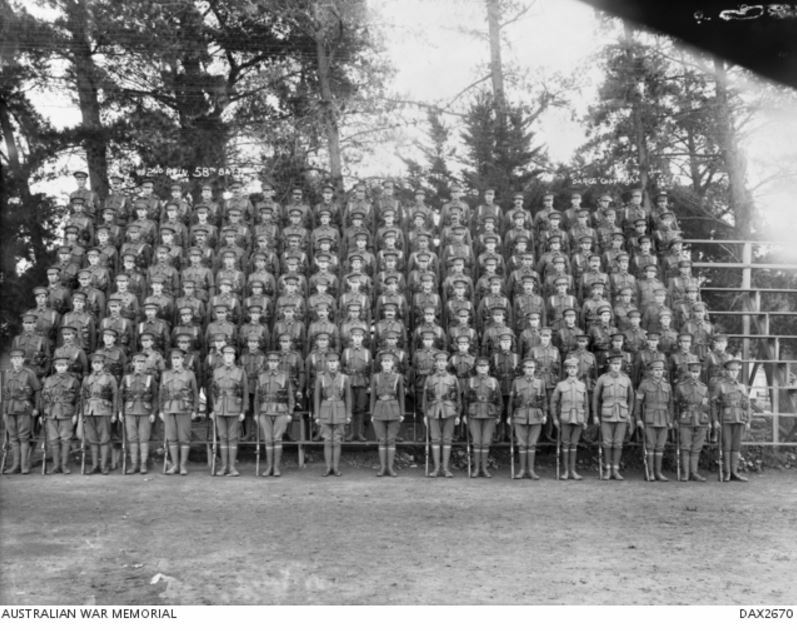 William enlisted on 31 January 1916 and left overseas three months later with the 58th Battalion, 2nd Reinforcement (below). William went first to Alexandria, Egypt then on to England. He trained at Lark Hill but fell sick and was admitted to hospital for ten days but was able to return to Lark Hill on 10 September 1916 before leaving for France. William joined his Battalion near Fromelles on 30 September with fifty-seven other reinforcements. By early October the battalion had moved to Montauban and by the first day of winter, they were in the trenches at Bernafay. Christmas Day was spent at Ribemont. Back at home during the year, a son Ivan was born. 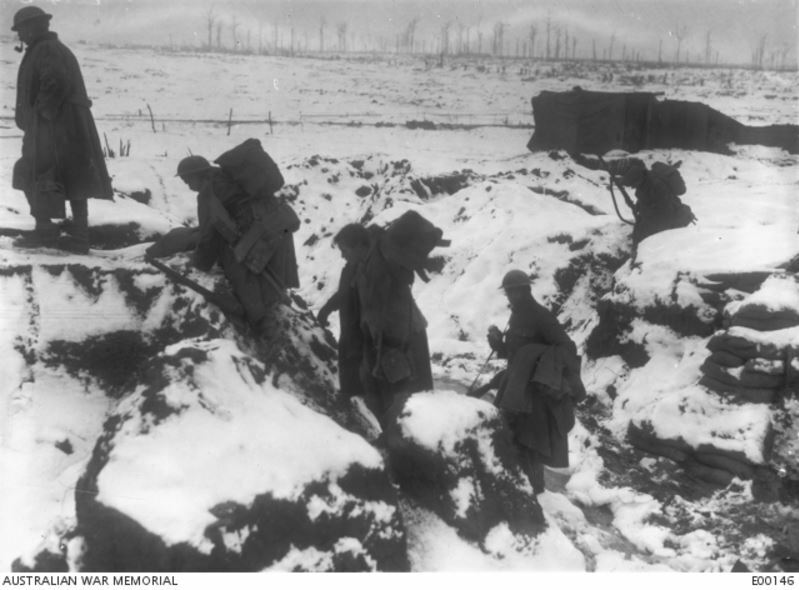 During January and February 1917, the 58th Battalion was back in the trenches at Bernafay amid the snow. On 4 February 1917, the battalion was on the frontline with artillery action all day. An operation was planned for that night. It was deemed a success with a German trench captured but the toll for the battalion was ten killed and thirty wounded. One of those wounded was William Winnell. It was the early hours of 5 February when William arrived at a clearing station with severe leg wounds, remaining there until 8 February when he was sent by ambulance train to Rouen. There he was admitted to the 11th Stationary Hospital on 9 February 1917 and his right leg was amputated below the knee. He also had a severe fracture of his left tibia and fibula. On 12 February. William developed right septic pleurisy, a condition of the right side. His pleurisy improved but his left leg became septic. William became delirious and he died 13 March at 10:15pm. Catherine received the news within two weeks. She was left with three young children, two girls and a boy. She never remarried and remained in Hamilton where she died in 1958. William Winnell is remembered on the Hamilton War Memorial and a tree was planted for him along Hamilton’s Anzac Avenue in 1918.